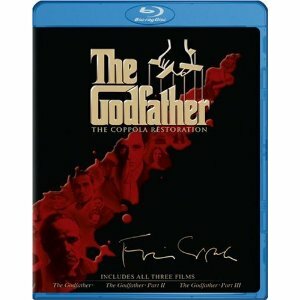 WorldMovieStore - The Godfather Collection Sinopsis. Murder, it turned out, was a serious business. The first film remains a towering achievement, brilliantly cast and conceived. The entry of Michael Corleone into the family business, the transition of power from his father, the ruthless dispatch of his enemies--all this is told with an assurance that is breathtaking to behold. And it turned out to be merely prologue; two years later The Godfather, Part II balanced Michael's ever-greater acquisition of power and influence during the fall of Cuba with the story of his father's own youthful rise from immigrant slums. --Bruce Reid. Read More Sinopsis. 0 Response to "Blu-ray Release The Godfather Collection"